Social and Fun. Video Gallery. Promotions. Mad Mod World Vintage Wall of Fame. Past Saves. Furniture Shipping and Delivery Info. Tips for selling to a reseller. Mad Mod World Vintage Wall of Fame. 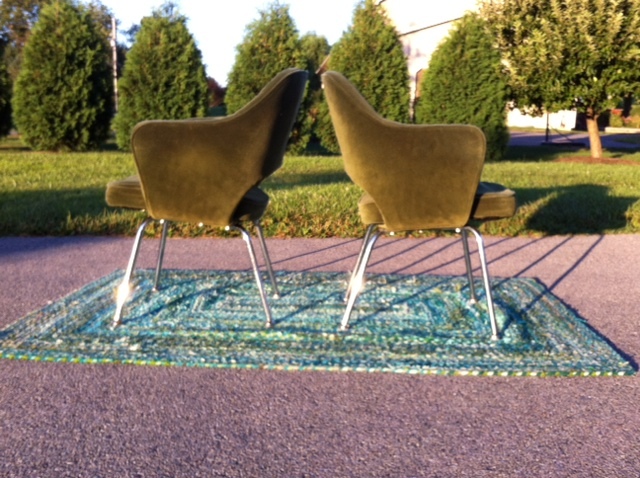 Specializing in sourcing and restoration of Mid Century Modern furnishings. 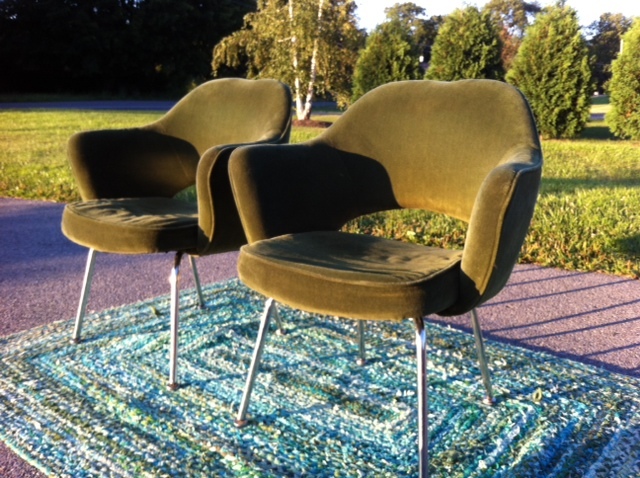 Trials and tribulations of sourcing and saving mid century modern furnishing! Ready for a new home! UPDATE! THESE HAVE BEEN SOLD! I finished the 2nd Eero Saarinen chair last night. I just want to polish the chrome legs before I am ready to ship them off. They are truly stunning and I am happy I could work with them. I have seen these chairs in tweed and let me tell you, the velvet is a lot less office like and definitely richer than the tweed fabrics! These will make a lovely addition to your home or even small office. The upholstery is in amazing condition with only the teeniest signs of wear. The foam in the seat backs are definitely in less than stellar condition, but under normal wear, they should last a long time before it has to be dealt with. They are very comfy and a nice sturdy chair. If you are regionally to me, I welcome you to meet up and have a look at any of my furnishings before you buy! I totally enjoy saving them and finding them new homes! Click the photo to scroll through the pics!